Hello again! 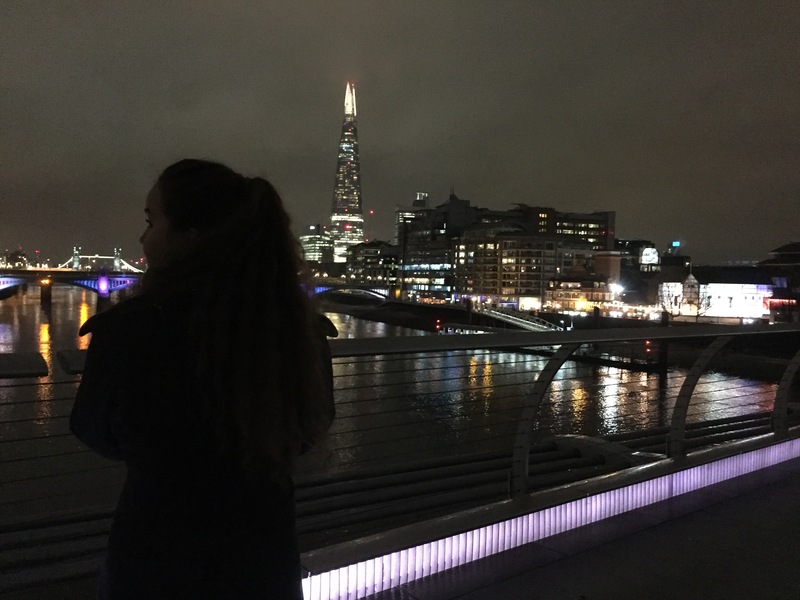 Tuesday I wrote about the different London museums I was able to visit during my reading week. 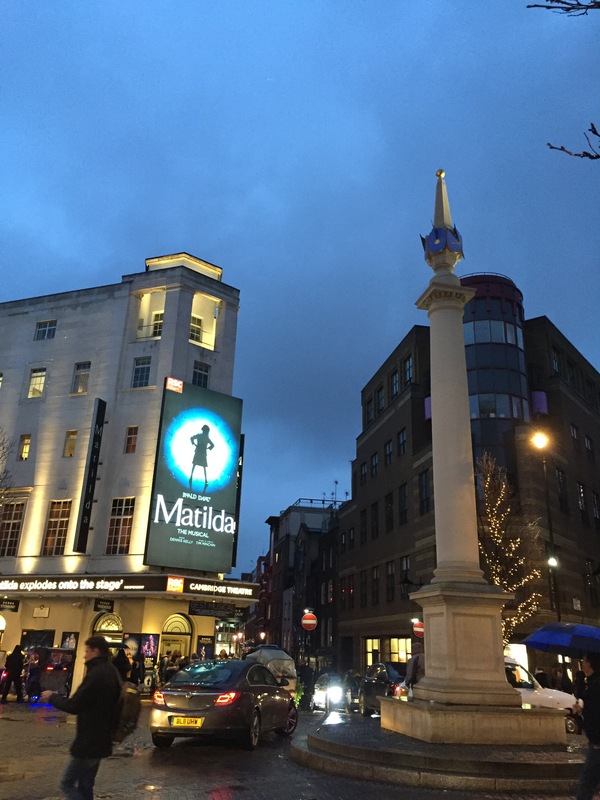 Today I wanted to write about the different theatres I was also able to visit during that time. It was a very happy coincidence that my good friend Heather was finishing a one month placement in London during my reading week which allowed us to get together a few times. She first came and spent a day here in Guildford re-visiting the old haunts of her previous home during her first masters degree. This was a beautifully relaxing day which allowed us to catch up after being apart for a whole semester and having only seen each other for a quick hello in September on my trip to Scotland as she is currently studying a second masters degree up there. 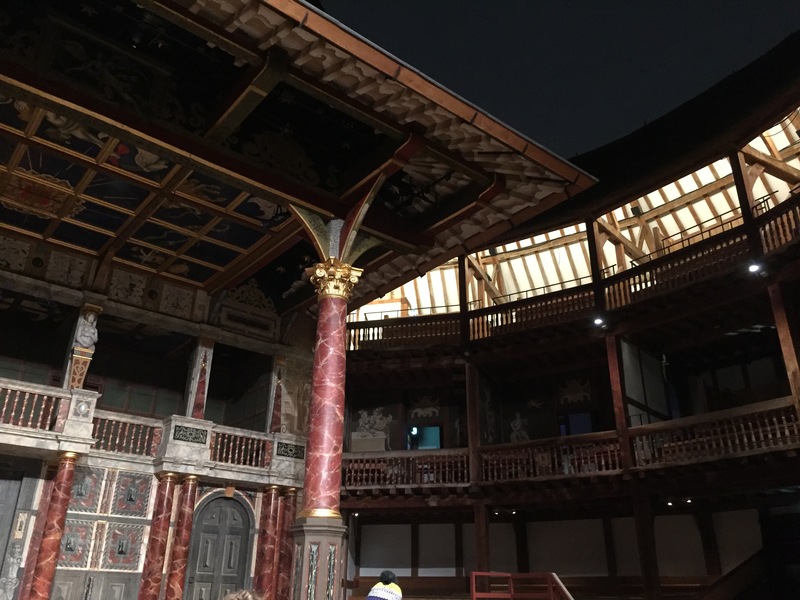 On both evenings of my day trips to London, I was invited to attend Heather’s placement presentations at The Globe Theatre which is also known as Shakespeare’s Globe. The theatre is a rebuilding of the iconic building in which Shakespeare would have presented his plays. Not only is the theatre very impressive and full of character, but watching Heather’s classmates perform different Shakespearean pieces, including scenes from Twelfth Night, was quite impressive. 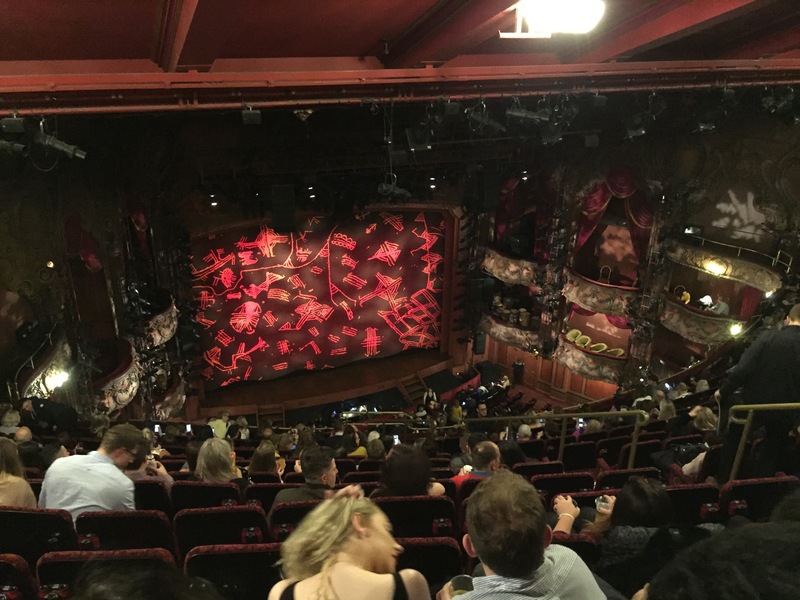 With the open rooftop and the three levels of wooden seating, there was a truly magical atmosphere in the theatre watching these students experience what I can assume is many actors’ dream. On the Saturday we decide to head to the West End in order to watch a play. As Heather is quite the experienced play-attender, we decided that we would attempt to get rush or return tickets by presenting ourselves at the box office of various theatres. This is a great way to get cheaper tickets. For example, Heather was able to see Amadeus for 12 pounds which she enjoyed. We were not so lucky that evening as most box offices either had no rush or return tickets, or the prices for the tickets that were left were a bit too expensive. 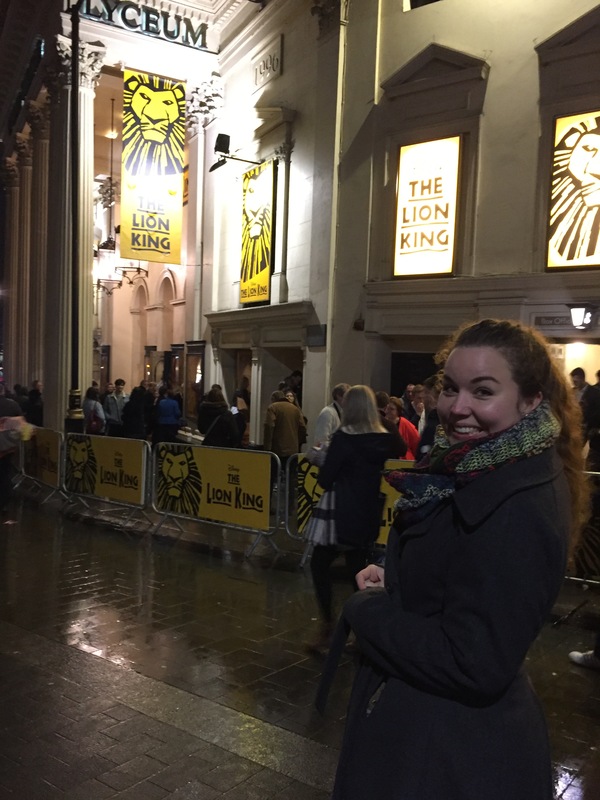 After walking through various parts of West End and having a yummy meal at an Indian food restaurant, we finally decided upon The Lion King. We bought standing tickets for 30 pounds. As this has been on my bucket list of London things to do I paid a bit more than I initially wanted to but it was well worth it. The show was quite spectacular with its costumes, sets, and of course, music! Although we were standing at the top of the theatre for a little over 2 hours, we had a good view and were able to sit on the ground during the intermission. It was such a fun experience to see the show with Heather who was able to share with me some insights on what could be happening behind the scenes and how the show came to be. 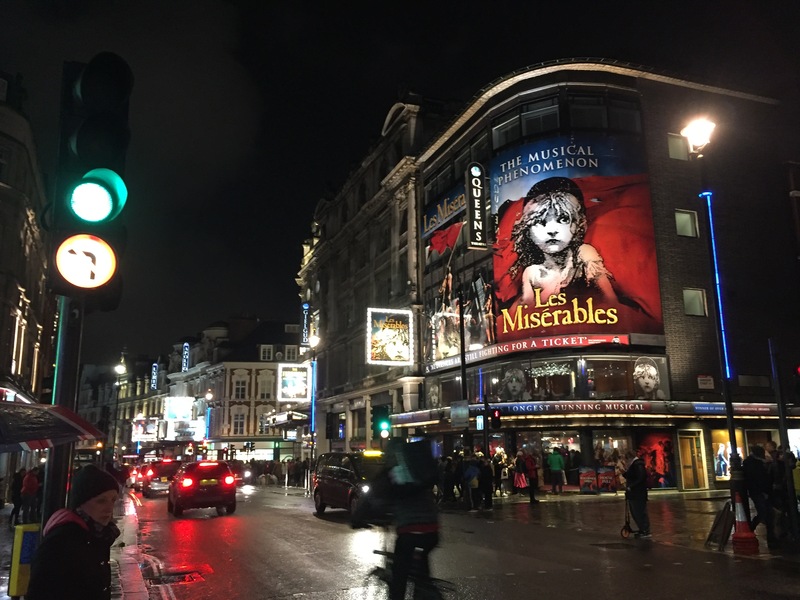 West End is a beautiful part of London with all the of lights, posters, and hustle and bustle of excited theatre-goers. My cousin Gabrielle has recently gone to see the play Matilda which herself and her friend very much enjoyed as well. There are so many fantastic options when it comes to theatre in London. 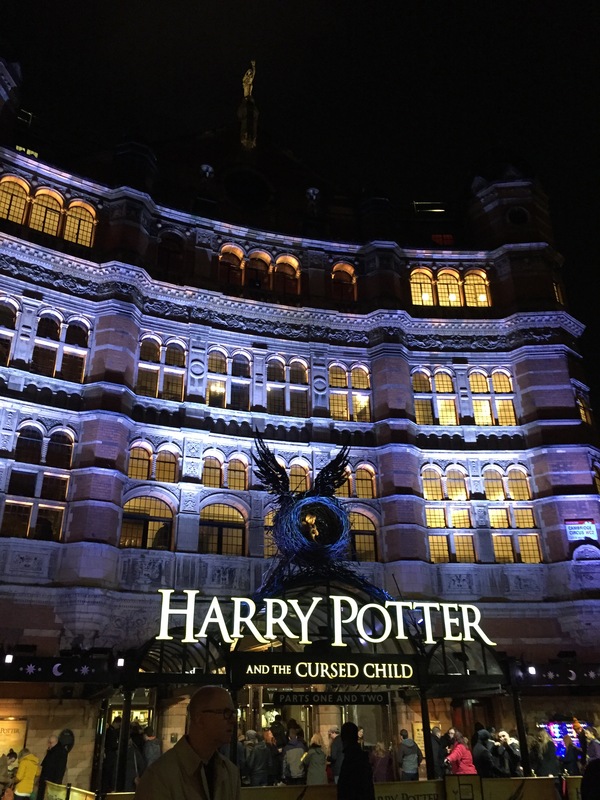 Of course it can be very expensive, for example tickets for Harry Potter and the Curse Child are still going for 270 pounds, but if you are willing to walk around West End before showtime or if you don’t mind standing, then you can find some great deals. It is a fun activity to do, especially given that Guildford is only a 40 minute train ride to London Waterloo and then a quick tube ride will get you to the theatre district in no time. 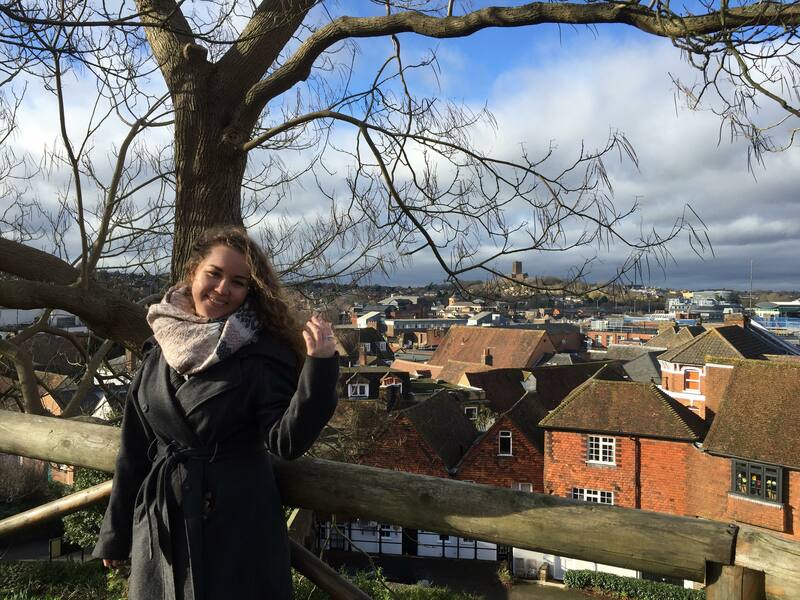 Gyms, Yoga and Physical activity – What is there to do in Guildford?